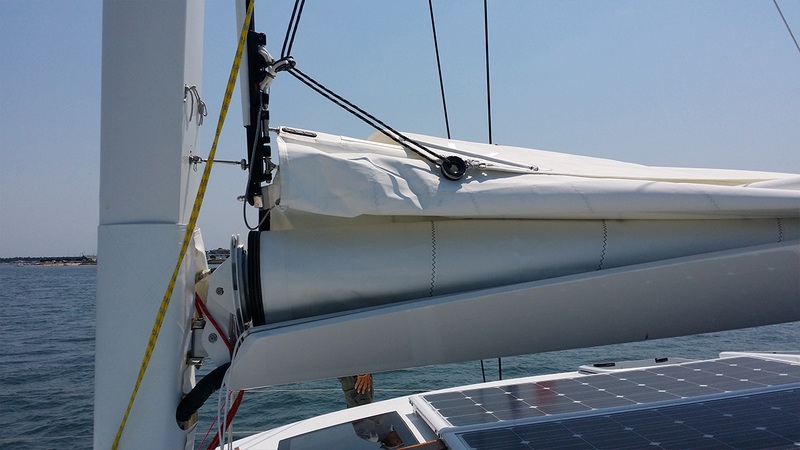 Main mainsail support, inseparable of the mast. Boom must be handy, light and strong. Well equipped, our booms must be functional, practical and easy to use. Classic : Manufactured in sandwich with carbon beams at the most effective settings. This classic boom is a matchless ratio weight/spring rate. 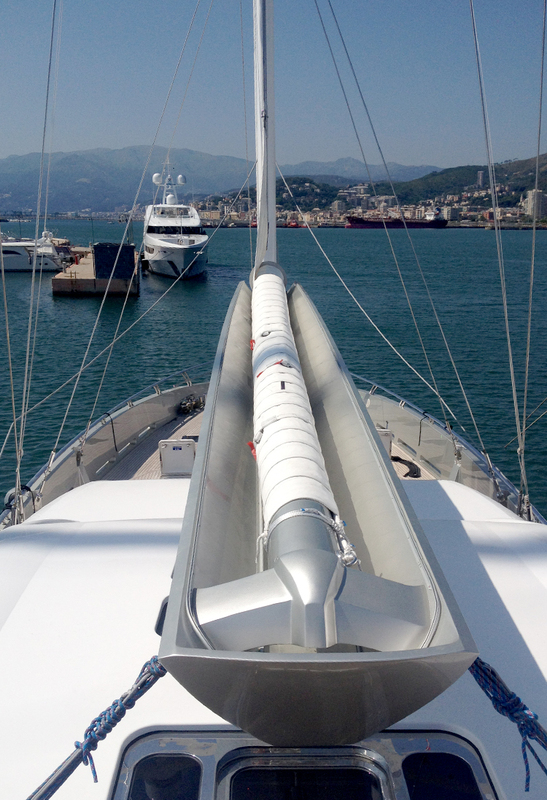 Canoe booms with reefing system : To store effectively and properly the sail. 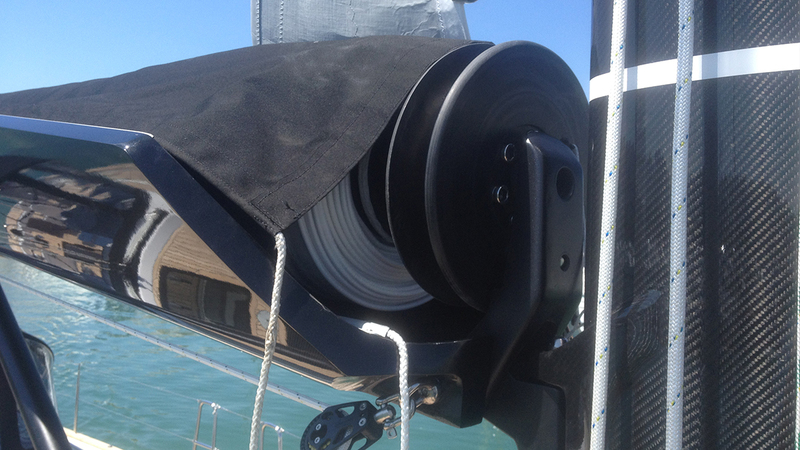 Equipped with automatic reefs with one reefing pendant by function. Easy operating for the uninitiated. 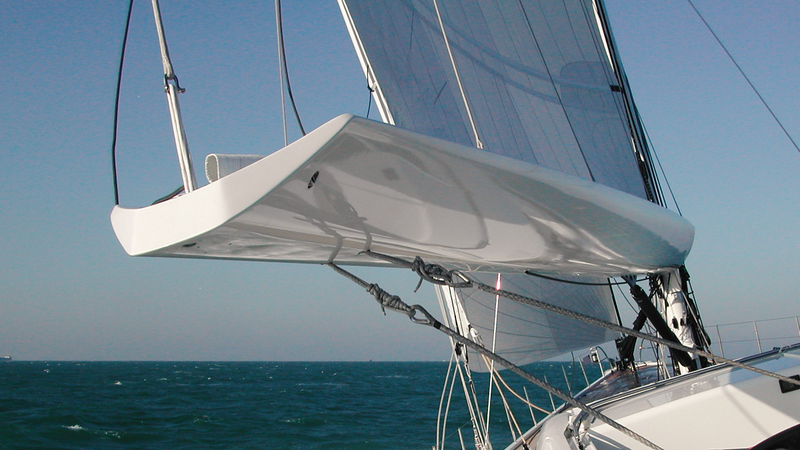 With an harmonious design, this boom allows to store easily the mainsail in the boom profile. 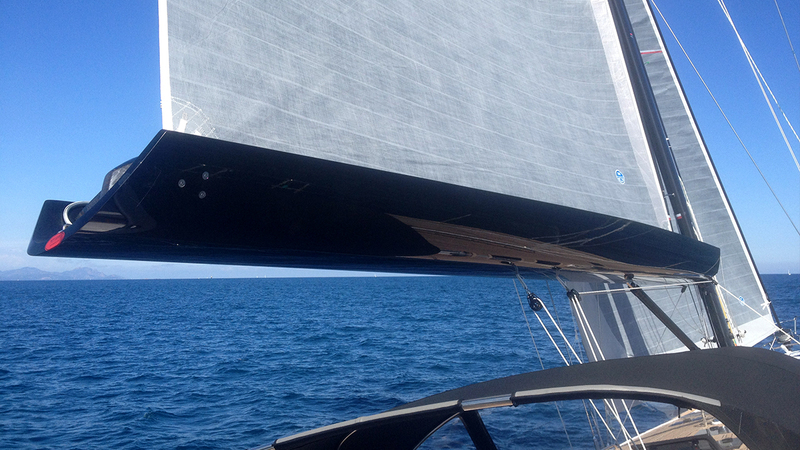 Carbon furling boom : simple, manual or hydraulic. 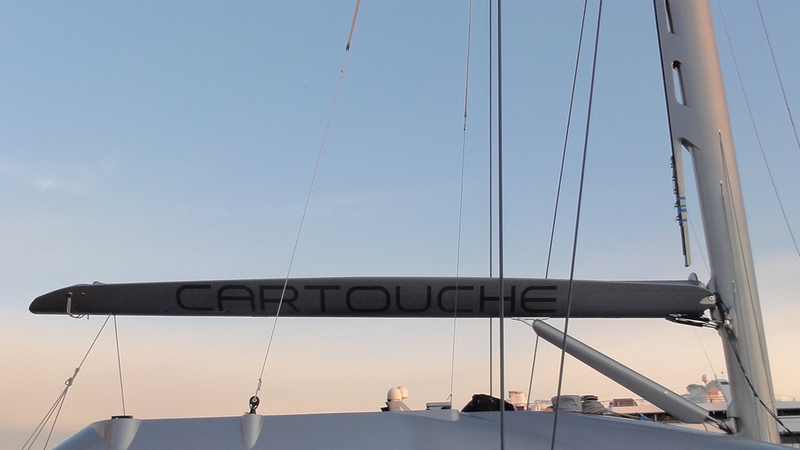 Simple manual : Outer layer light boom, esthetic with a structural furling tube in carbon high strength. Hydraulic furling boom : Boom in open V structure, canoe type. Manufactured in undervacuum carbon sandwich. 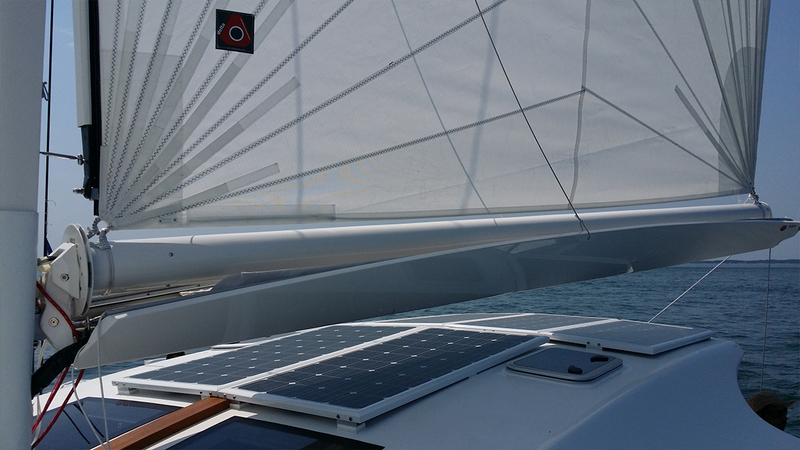 Easy sailing system with the touch panel control allows an easy use. The crew has no more to move in mast foot area to hoist the mainsail. This boom is a good compromise between weight, easy use and elegance. A good reefing system : set the reef pendant on the winch ; release and decrease sail force ; press button and release halyard at the same time.